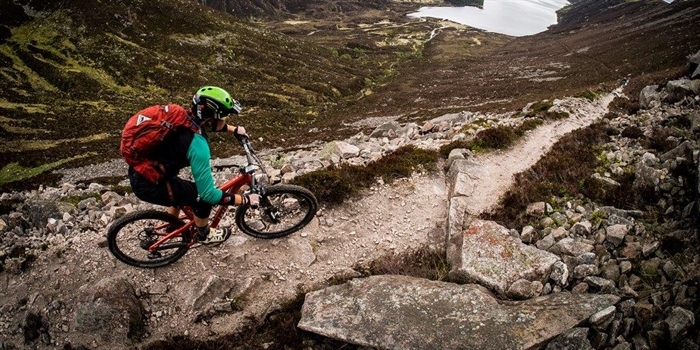 Epic Mountain Bike Adventures - hook up with our friendly, expert guides and let us help you uncover those elusive off-piste ‘secret’ trails and ancient tracks deep amongst the forests and glens of Scotland. There’s hardly a place in Scotland we haven’t ridden, guided, recced or mapped so if you’d like to join one of our trips or arrange a professional mountain bike guide to help with your own mountain bike adventure in Scotland, get in touch and we’ll do the rest. If you're searching for your next enduro fix, an all-mountain adventure or a real wilderness experience, you've come to the right place! We've been mountain biking in Scotland for more than twenty five years - that means we know exactly what makes for a great mountain biking holiday in Scotland. With unrivalled knowledge of Scotland's magical landscapes, we will show you the hidden gems; the off-map trails, the best inns, pubs and restaurants; arrange the logistics on land and sea to make the very most of your riding time, and help you to tap into a truly memorable experience of Scotland because we don't want you missing out on any of the good stuff! Join a group of like-minded riders or put us to work organising your very own private adventure. We’re passionate about creating real guided & self-guided mountain bike adventures in Scotland. 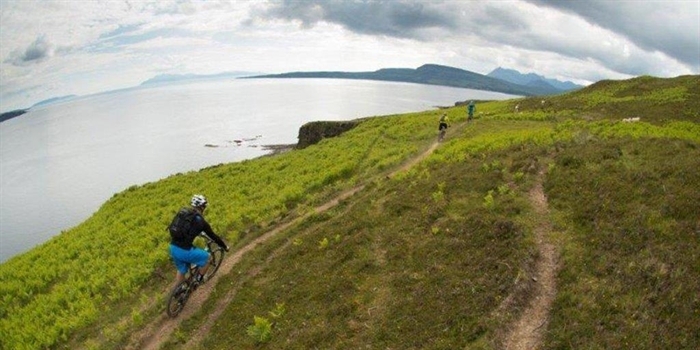 Let us show you why your next mountain bike holiday should be Scotland! Visit our website to see our upcoming trips or get in touch if you would like to know more about arranging a custom tour. "Excellent, as expected. Perfect logistics, perfect route planning, perfect accommodation. Really ignited my excitement of wilderness riding – the isolation and lack of any people at all. Awesome. Really technical in places, one of the most epic descents I have ever ridden in scotland." "Coming from rural northern Canada I had the misconception that Scotland wouldn’t have much rugged, wilderness compared to Canada. I was wrong! Scotland is beautiful and there is so much to explore. We could not have done it without our guides Andy and Huw. I was blown away by their knowledge of biking and the terrain. They also made us feel very welcome and comfortable with lots of laughs and stories on the trail and over delicious meals. It was an excellent way to explore Scotland. I’ll be back!" "10/10 for sure! They were absolutely amazing. I’ve guided a lot myself and I can say with complete confidence that the trip would not have been the same without them"
"Their knowledge of mountain biking and trails across Scotland is mind-blowing, it felt like they knew every trail, path and track everywhere we went"
"Andy and the guides, Huw and Aneela, were super friendly, entertaining and competent with a balanced focus on enjoyment and safety. It was quickly apparent we were getting to experience the best of the local area each day depending on the weather and what the group were up for."